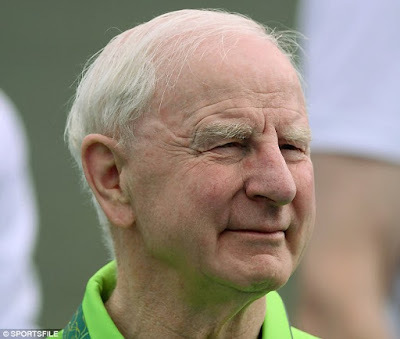 Pat Hickey, the president of the Olympic Council of Ireland, has been charged with selling tickets for prices higher than face value, in a scheme that could have profits of more than $3.1million. Hickey, 71, is accused of conspiring with some six others to sell the illegal Olympic tickets. Hickey was arrested in humiliating fashion while at his son's hotel room in Rio last week. He was naked when cops knocked on the door of his son's room at a luxury hotel in the upscale Barra da Tijuca neighborhood. Hickey's wife had told cops he had left for Ireland - but they found him in nearby room registered to his son and found him there. 'We noticed that there was another room in the hotel under his son's name, so we went to that room and we found Hickey by himself,' detective Ronaldo Oliveira said.